It is now February 15th, 2019. Back on April 23rd, 2018, I added photos of ORIC Manic Miner on my page Manic Miner on ORIC. On that day, I had just received ORIC Manic Miner tape and I thought that it would make my 8-bit Manic Miner collection complete with respect to the original releases. Yesterday I found out that that assumption was wrong. Namely there exists a rare 8-bit computer called Tatung Einstein. It is a Z80 CPU based 8-bit machine that was released in 1984, and Manic Miner was released on Tatung Einstein too. I would suppose that it has to be the rarest 8-bit release. For awesome Manic Miner, Jet Set Willy, Blagger and Son of Blagger collections, please visit Dasse's homepage, it is definitely worth seeing! It is good that people give credit to these early, fantastic platformers that paved way for later platform games! 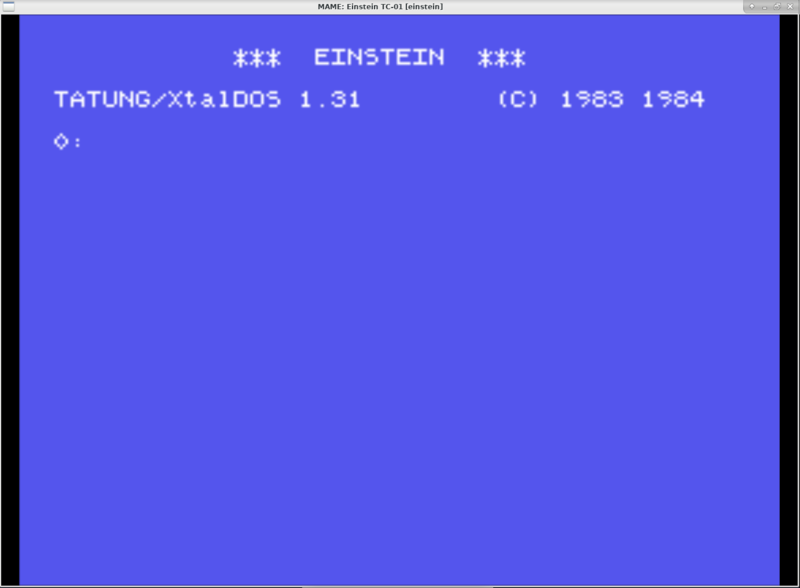 Today we are going to use MAME for Tatung Einstein emulation and playing Manic Miner on an emulated Tatung Einstein. 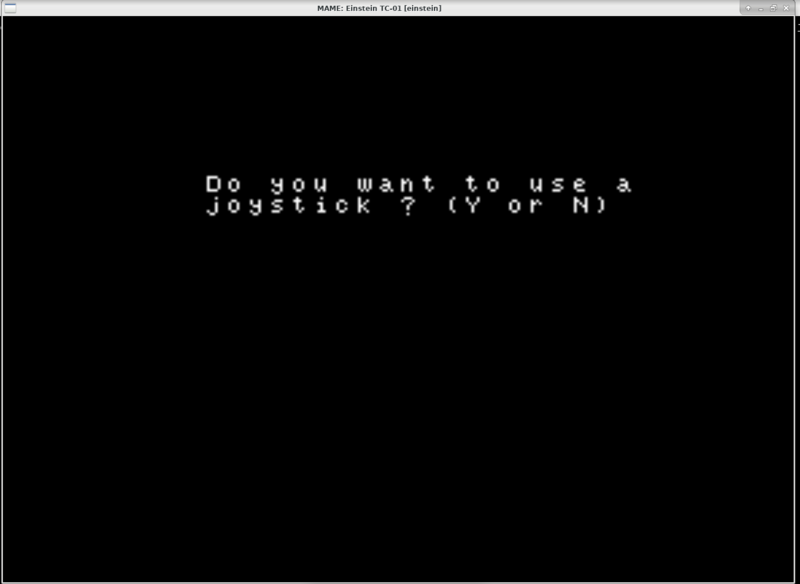 Our host OS is Fedora Linux 29.
reproduce that game on a PC. are NOT simulations, but the actual, original games that appeared in arcades. technology continues to rush forward, MAME prevents these important "vintage"
Press Q to quit less pager program and return to the bash shell prompt. A cool retroguy called Mario has a Tatung Einstein fanpage up and running. I got both the system ROMs and Manic Miner from there. You can download einstein.zip here or you can get it from Mario's page. 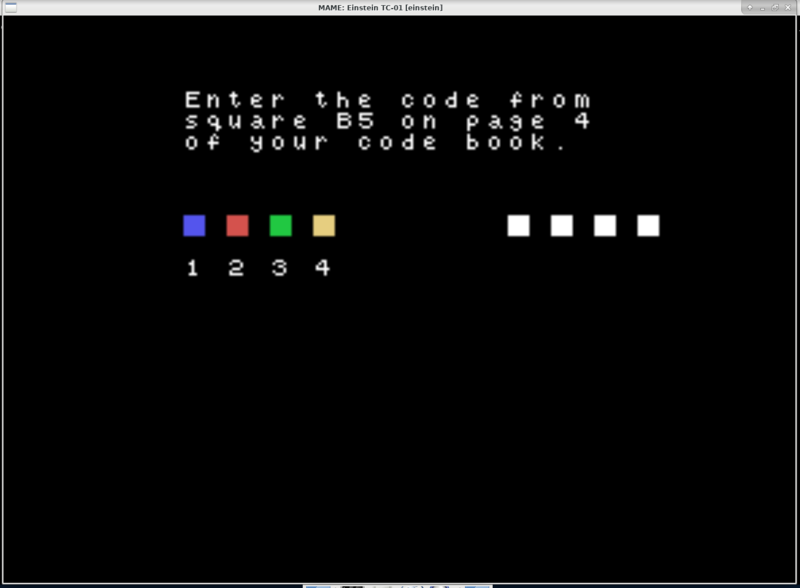 Without the files in that ZIP archive, MAME cannot run Tatung Einstein emulation, so it is necessary to install them. 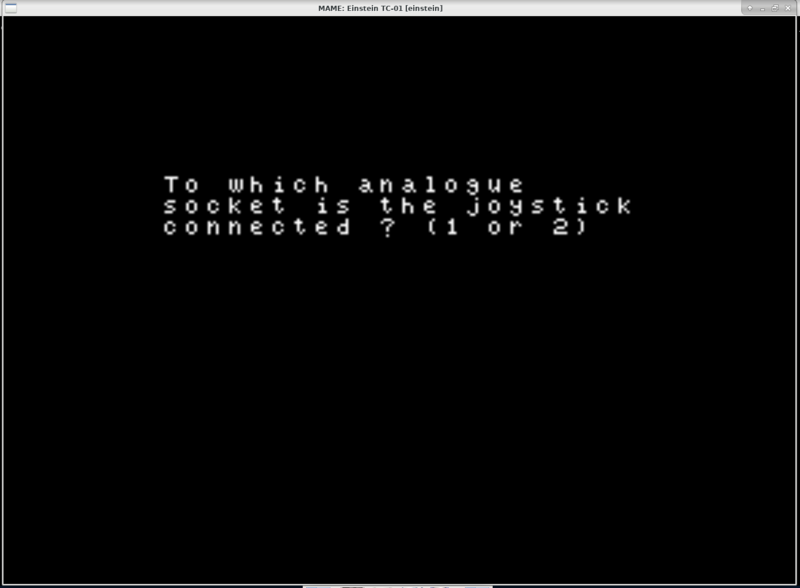 1 romsets found, 1 were OK.
Before launching MAME, I have my Logitech Rumblepad 2 USB controller plugged in. 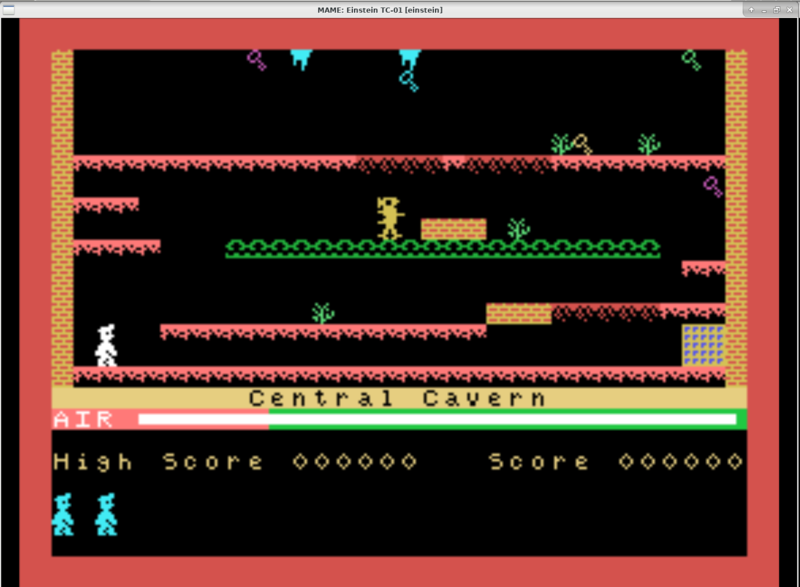 Gameplay is like it is supposed to be, but it is perhaps slightly faster than on Spectrum and Commodore 64. I only tested this version very quickly and completed EUGENE'S LAIR, and left it at that. 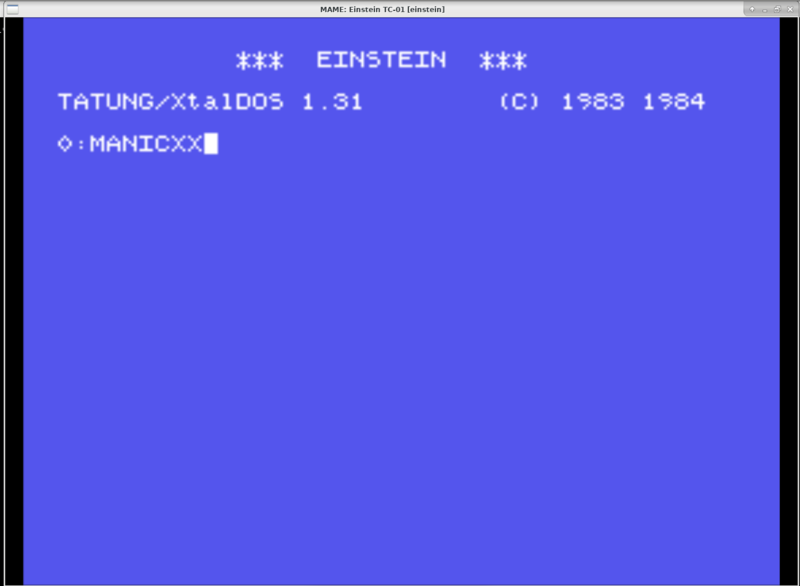 You now know how to install MAME and Tatung Einstein related ROM files. 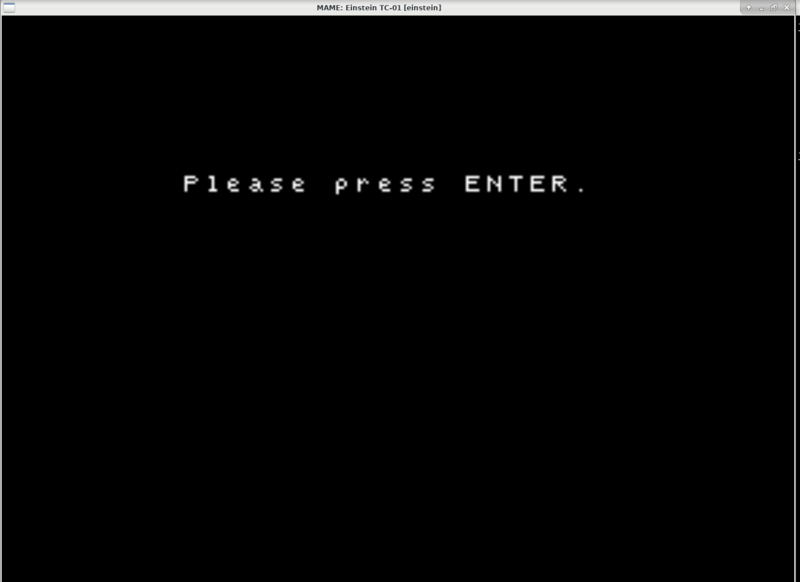 You also know how to start classic retrogame Manic Miner on Tatung Einstein emulation using MAME. 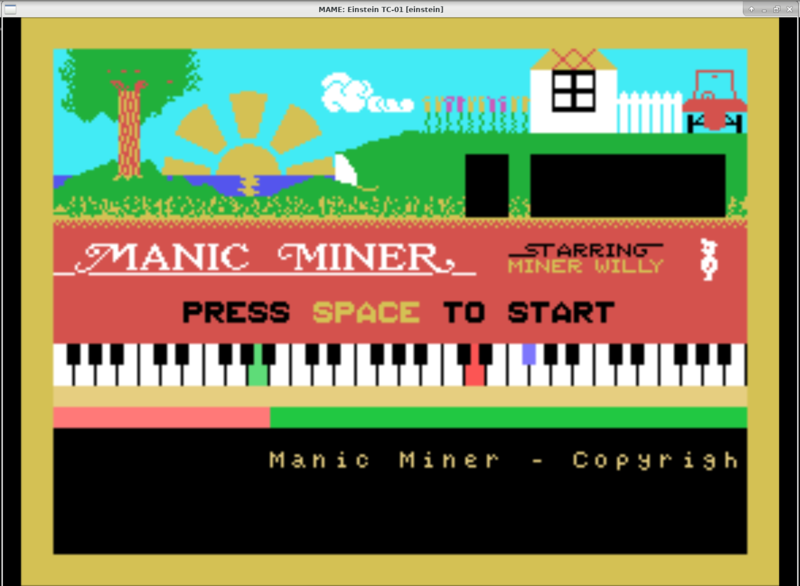 I am currently desperately searching for the original release of Tatung Einstein Manic Miner! If you have it for sale, please contact me via e-mail. I am willing to pay good money for that fantastic game. Thanks for any help!